Step into a lava cave and immerse yourself in the soothing oasis of the Blue Lagoon Geothermal Spa! Delve deep into the heart of the Leidarendi lava cave, and prepare to be awestruck by otherworldly rocks and colors. To make your trip an ultimate Icelandic experience, a delightful soak in mineral-rich water of Iceland’s top spa awaits you afterward. The tour is available in small groups to make sure you get a one-of-a-kind adventure. 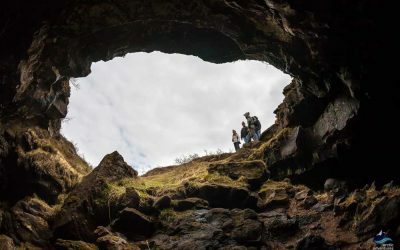 Leiðarendi lava cave is a prime example of Iceland’s volcanic caves. The cave formed when a lava flow from a volcanic eruption gradually cooled on the outside. Underneath the crust, liquid rock kept moving until it drained away thus forming tunnel below the surface. It takes just a half hour ride from Reykjavik to reach this hidden gem on the Reykjanes Peninsula. Once we arrive, get prepared for an eerie adventure! 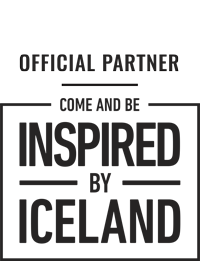 We will walk through a moss-capped lava field to a pitch-black hole. When in the cave, vibrant colors and unique rock formations take your breath away. 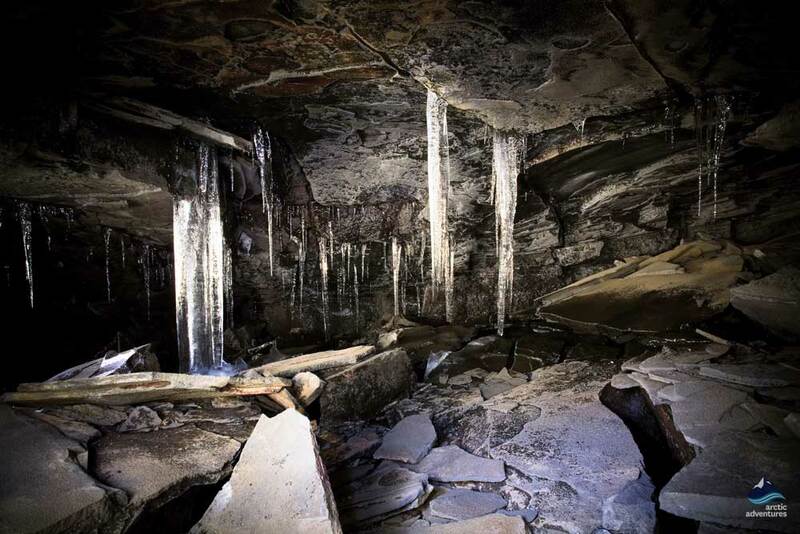 Stunning stalactite structures hang from the ceiling, and stalagmites rise from the floor of the cave. 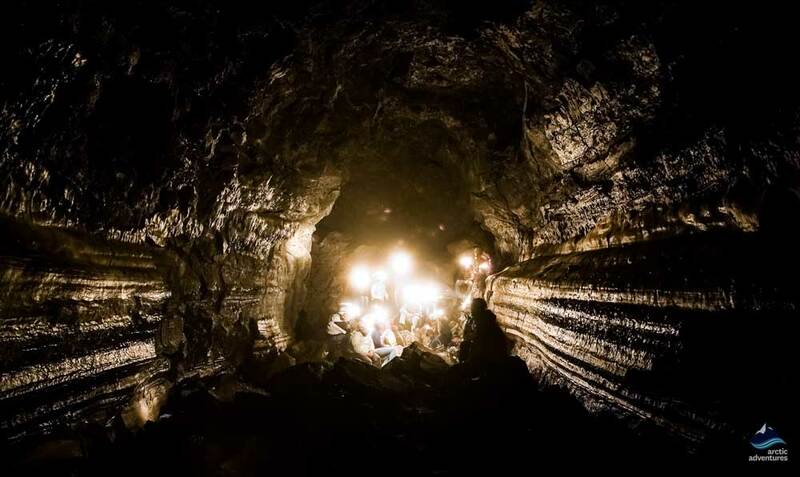 Though the lava tube cave gets tight at some points and might require a little bit of crawling, your efforts will be rewarded with unparalleled subterranean beauty. In winter, you even have a chance to spot icicles hanging together with other mind-bending formations. 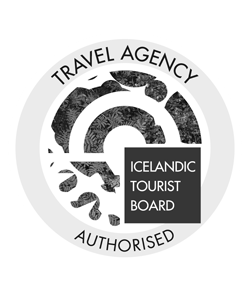 After the caving activity, we will transfer you to the Blue Lagoon resort, the most popular attraction in Iceland. 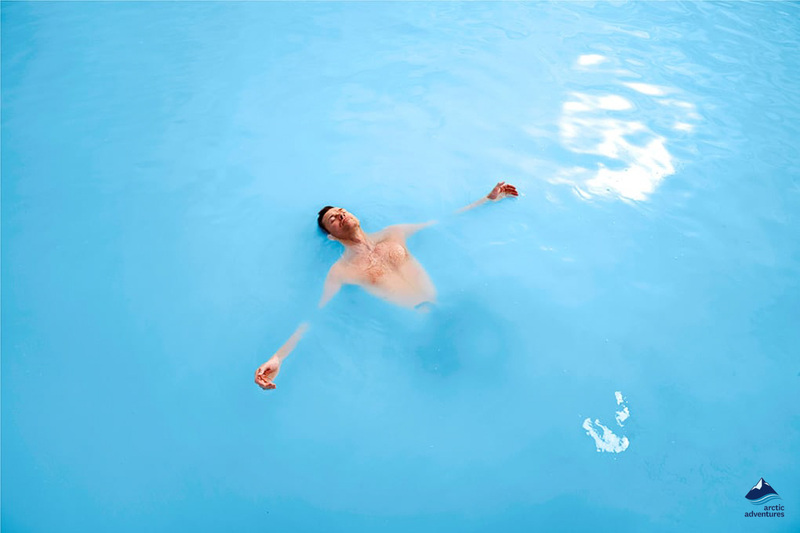 The thermal bath is famed for its milky blue waters and quirky history. It appeared quite unexpectedly when a geothermal power plant filled a lava field with run-off water that was unsuitable for heating systems. Since the water was hot and rich in minerals, it became a perfect place for a replenishing swim. The brilliant turquoise color is due to the silica and algae present in the water. Today this iconic destination is famed for its curing properties. 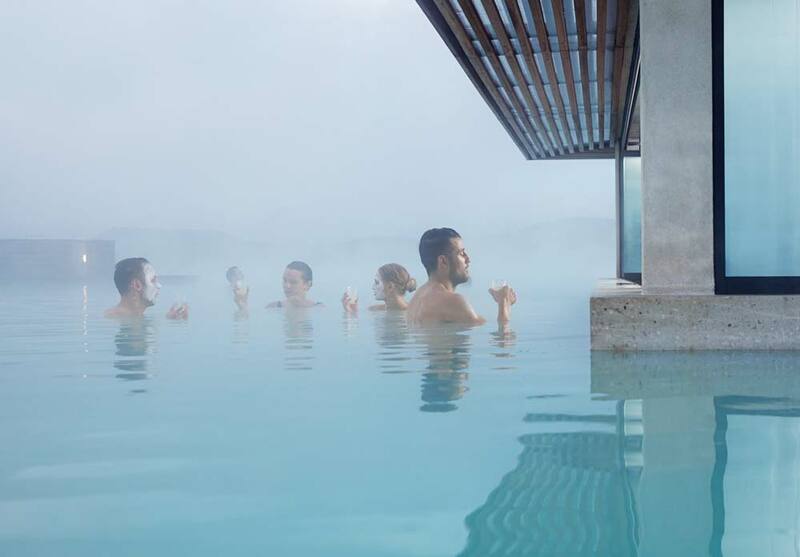 You will be able to have a luxury soak in hot water surrounded by the lunar-like landscape of the Reykjanes Peninsula. Just don’t miss out on the famous Blue Lagoon’s face mask of silica mud! After the caving tour, we will stop for a lunch break at BSI Bus Terminal in Reykjavik. There is a cafeteria where you can try out some traditional Icelandic dishes or feel free to bring your own lunch. 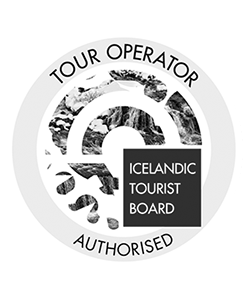 For the 8:00 AM tour, the transfer to the Blue Lagoon is at 12:00 PM and admission is at 13:00 PM. For the 12:00 PM tour, the transfer is at 19:00 PM and admission is at 20:00 PM. Please note: Make sure to inform your bus driver about a return transfer pick-up time that suits your needs best. 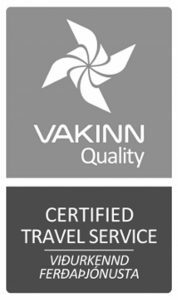 More information on the return transfer to Reykjavik will be stated on your voucher. The pick-up is available at 8:00 AM for a morning tour or at 12:00 PM for an afternoon tour. Passengers will be picked up from our available pick-up points in Reykjavik. Please note: Picking up all the passengers can take up to 30 minutes, so we appreciate your patience. 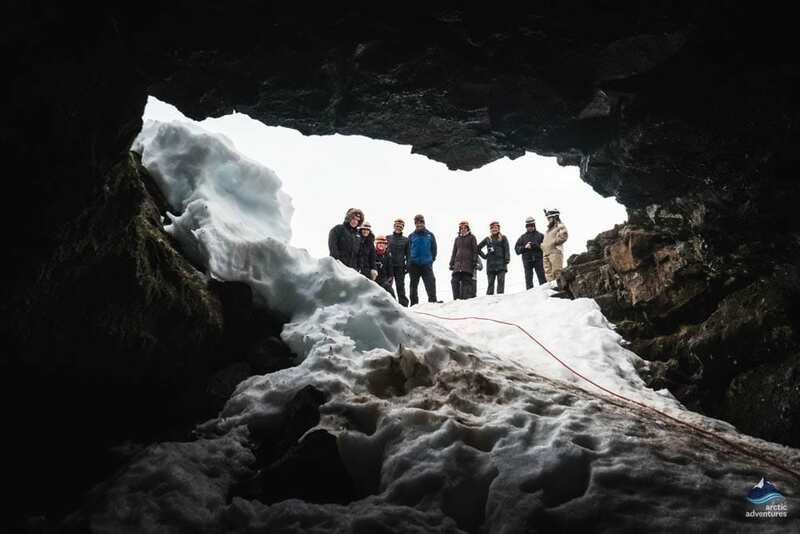 Remember to bring: waterproof and warm clothing for the caving tour. 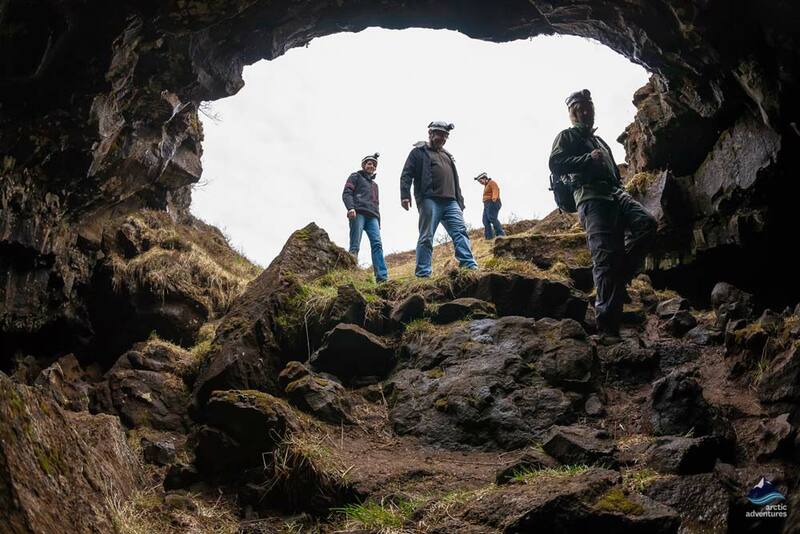 Exploring caves in Iceland is best done with a great pair of hiking boots. For the Blue Lagoon tour, don’t forget to bring your bathing suit! Your ticket includes an entrance, silica mud mask, use of towel and one drink of your choice. Important Note: The Blue Lagoon admission ticket is not included in the price. 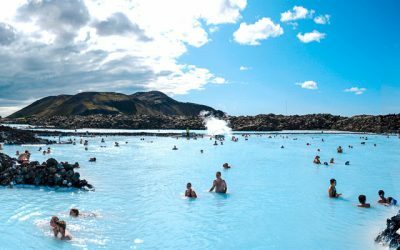 We recommend booking in advance at bluelagoon.com.